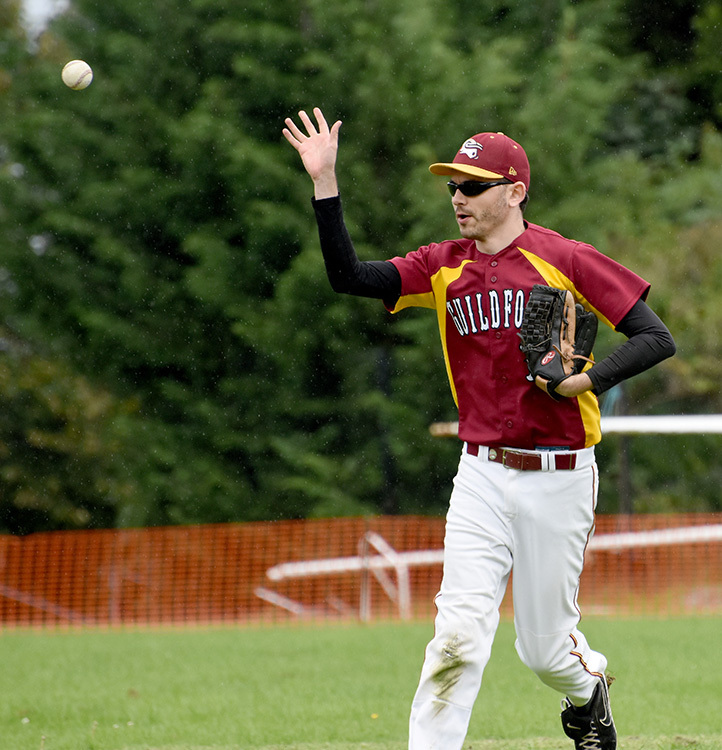 Guildford took both games of a doubleheader at the Majors level, today, against Southampton. A relatively straight forward win the first game, with Brad on the mound, showing control and accuracy, and backed up by some very able defense. Most notable of which were hard hit shots, well held by Aiden, Harry and Henry, robbing Southampton chances to put runs on the board. Both teams had agreed to start all batters on a 1-1 count, and this proved to work very well, as not only did it make for a quicker and faster paced game, it also had batters going to the plate looking for hit, rather than walks. Southampton were out of the blocks quickly in game one, with a home run, but thereafter, Brad and his defense were able to shut them down. In fact it only took 9 pitches all told! 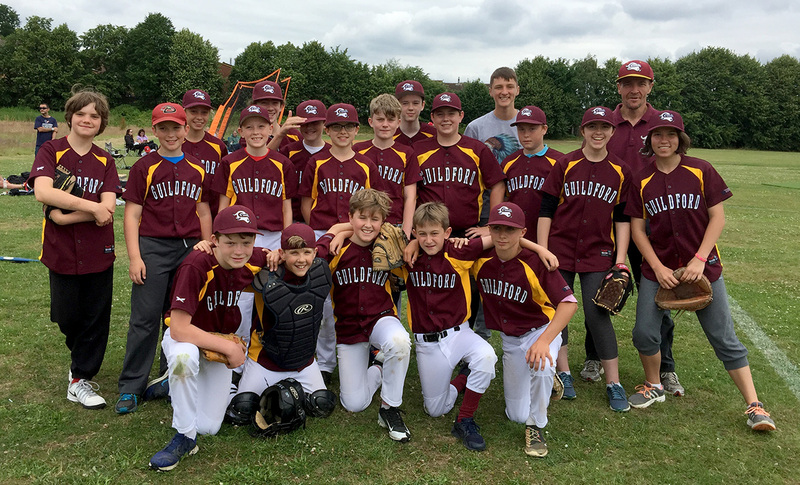 Guildford drew level in the bottom half of the inning when Aiden doubled Dylan home, and following a single from Brad, Harry lined out to end the first. Southampton were also held scoreless, in their next at bat, as they lined one to Harry in left, then were doubled up at second, on another line shot that was snagged, this time by Harry. Double plays seemed to be the order of the day, as following a long shot by Nicole, Southampton took their chance to turn one, and prevent any runs scoring. The bottom half of the inning also ended scoreless as Brad shut down his opponents. Finally Guildford broke out of their batting slump and drove a mximum 5 runs across the plate, with a triple from Kira, followed by an Aiden home run, and a single from Harry driving in yet another run. Southampton managed to get runners on base in the 4th, but a ground out, a pop fly, and a strikeout, put paid to any chances of scoring. A much closer game in the second, although early on it looked like Guildford would run away again. With Jack on the mound, the home team jumped out to a 7-0 lead before Southampton were able to put any runs over. 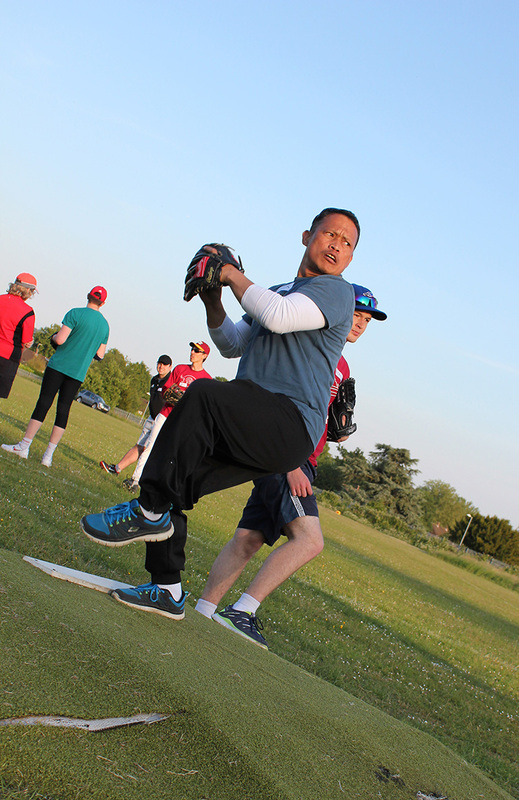 With Martin coming into relieve Jack, the visitors were able to slowly start clawing their way back in. Guildford tacked on another run, as Jack’s base running allowed him to get home with a hit or passed ball, when he come in to pinch run. However Southampton tied it up in the final at bat. 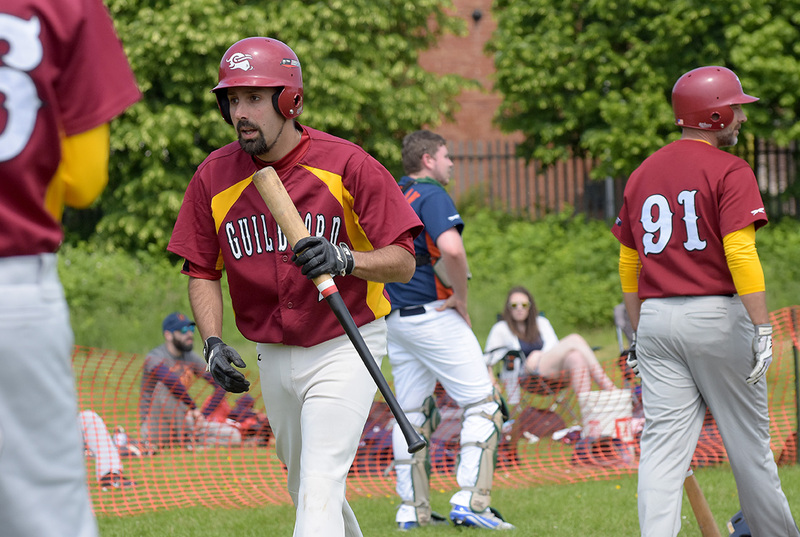 It looked to have been enough to secure a tie, when the first two Guildford batters struck out. However Millie got on with an infield hit, and with some heads up base running made it to third base. That should have been that, but down to the last strike, the visitors tried to pick Millie off at third base, but instead threw too close to the runner, making it very difficult for the third baseman to handle, and as it shot into LF, Millie cantered home with the winning run. A good example of why holding onto the baseball is often the better play.